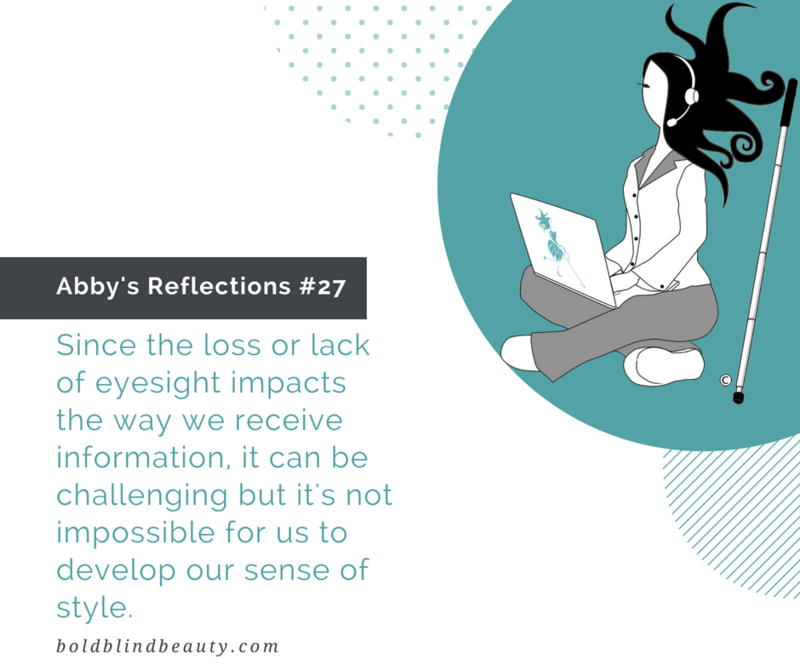 Since the loss or lack of eyesight affects the way we receive information it can be challenging but it’s not impossible for us to develop our sense of style. Remember, there is ALWAYS a way. When we reach roadblocks and we will just remember to look at them as creative opportunities. Sure, it’s frustrating not having answers readily at hand but with a little patience and ingenuity, it will come. Experimentation through trial and error is half the fun.